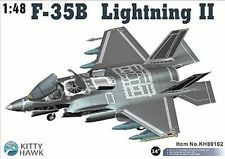 YellowAirplane.com: X-32 / X-35 / F-35 Lighting II JSF Joint Strike Fighter, Military Jet Fighter Airplane Models. F-35 Lighting II JSF Joint Strike Fighter, Military Jet Fighter Airplane Models. 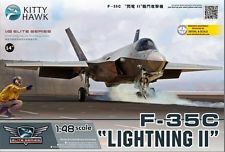 F-35 Model Airplanes, Die Cast Models, Plastic Model Kits, Wood Model Airplanes. The JSF Joint Strike Fighter had many stages of development. The X32, X35, F35 Joint Strike Jet Fighter was built for all branches of the military with variances in design. The US Marines need the JSF to have Vertical Landing Capabilities, the Navy needed heavy landing gear and the Air Force needed a powerful stealth jet fighter. These Model Airplanes, show all of the aviation history of the JSF development and design. Airplane models of the Joint Strike Fighter are great for both adults and kids as learning tools, just think about how much your kid will learn. Think about it. Building Model Airplanes are the ultimate learning tool. F-35 JSF model airplanes and More. 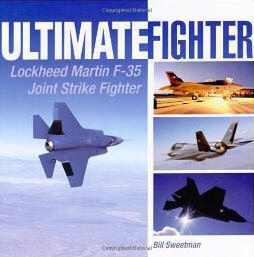 Joint Strike Fighter X-32 / X-35 / F-32 / F-35 JSF Fighter Jets, Airplane Models, Books and more. 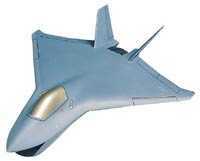 The original JSF project was a competition between the Boeing X-32 and the Lockheed Martin X-35. Now the Joint Strike Fighter jet, the JSF, is being developed by Lockheed Martin Aeronautics Company for the US Air Force, Navy and Marine Corps and the UK Royal Navy. The stealthy, supersonic multi-role fighter is to be designated the F-35. The JSF is being built in three variants: a conventional take-off and landing aircraft (CTOL) for the US Air Force; a carrier based variant (CV) for the US Navy; and a short take-off and vertical landing (STOVL) aircraft for the US Marine Corps and the Royal Navy. A 70 – 90% commonality is required for all variants. Early prototypes of the Joint Strike Fighter, JSF, were designated the X-32 and X-35. The F-35B, a variant of the F-35 Lightning II, is the Short Takeoff and Vertical Landing (STOVL) aircraft. This takeoff and landing operation succeeds through a very innovative technology known as the shaft-driven lift fan propulsion system. Besides the propulsion system, the STOVL variant differs only slightly from the US Air Force variant. The short takeoff/vertical landing (STOVL) F-35B will replace the aging AV-8B Harrier STOVL attack jets (which have also proven increasingly difficult to support) of the US Marine Corps, as well as its F/A-18s. The F-35B will have a stealthy, belly-mounted 25 mm missionized gun pod and a combat radius of more than 450 NM- nearly two times that of legacy STOVL strike fighters. A shaft-driven lift fan, in combination with a vectoring rear exhaust nozzle, gives this fighter the ability to take off in short distances, accelerate to supersonic speeds in level flight, and land vertically. Thanks to the lift-fan system, the F-35B's total vertical lifting thrust is about 39,700 pounds (the aircraft weighs about 30,000 pounds)- more than 14,000 pounds greater than the engine alone would produce without the lift fan. The F-35B will be the world's first operational supersonic STOVL aircraft. The F-35B is similar in size to the Air Force F-35A, trading fuel volume for vertical flight systems. Like the AV-8 Harrier II, guns will be carried in a ventral pod. Vertical flight is by far the riskiest, and in the end, a decisive factor in design. Click here to see the predessor of the F-35 Lightning II Jet Fighters, the P-38 Lightning. Design and Development of the International Aircraft. Keijsper. This heavily illustrated book presents the United States' newest fighter program: the Lockheed Martin F-35 Lightning II - also known as the Joint Strike Fighter. You'll see the research programs that made it possible as you examine amazing advances in airframe and engine design, avionics, weapons, radar and stealth, countermeasures and propulsion, and more. 288 pages, 250 color photographs, 6"x 9", hardcover. Clancy & Gresham. Written by spy novelist Tom Clancy, this book takes a thrilling behind-the-scenes look at a U.S. Air Force combat wing! You'll analyze premier fighter planes, including the F-15 Eagle, the F-22 and the F-35 Joint Strike Fighter; meet the people behind the planes and weapons; examine combat strategies and training techniques; and more. 384 pages, B&W photographs and illustrations, 5"x 8", softcover. Jay Miller with intro by Charles "Chuck" Yeager. This new and totally revised edition covers the world's most exotic aircraft family. 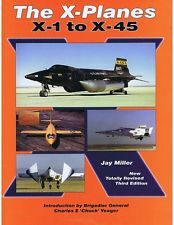 Encompassing every X-Plane from the rudimentary yet world-famous Bell X-1 supersonic research aircraft of 1947 to the very latest X-planes including the JSF and various space test vehicles, book includes considerable newly declassified information. Covers histories, specifications, propulsion systems and much more. 440 pgs., 850 B&W and 50 color photos, 8"x 11", hdbd. Sweetman. Born from a series of little-known technology programs and an intense competition between Lockheed Martin and Boeing (see below), the F-35 joint strike fighter is one of the biggest single military projects ever - and the results are amazing. Here you'll see an airplane that virtually flies itself, allowing the pilot to manage a mission with the latest in high tech instruments. 160 pages, 150 color and 50 B&W photographs, 10"x 10", hardcover. Ultimate Fighter tells how a series of little-known technology programs coalesced into a 3,000-airplane plan-the F-35 joint strike fighter (JSF). As one of the first major aircraft programs to start from scratch in the era of information technology, the JSF virtually flies itself, while the pilot manages the mission with the help of very acute high-resolution sensors and displays. The F-35 is one of the biggest single military projects in history-but it was born as a compromise between the needs of three U.S. services in the budget-strapped post-Cold War era. Author Bill Sweetman chronicles the high stakes competition between two aviation giants, Lockheed Martin and Boeing, to build the Joint Strike Fighter-the next generation fighter jet. Bill Sweetman was the chief aerospace consultant on the Nova (PBS) production of "Battle of the X-Planes." He is an experienced aviation journalist, having written more that 30 books in the field. He was awarded the Aviation/Space Writers Association Award of Excellence in 1990 and 1992. Sweetman also served as consulting editor on Jane's International Defense Review. Sweetman lives in St. Paul, Minnesota. Report of Joint Fighter Conf. NAS Patuxent River, MD 16-23 Oct. 1944. A must for the buff or historian, this book covers the views of the military services, test pilots, engineers, scientists, and a transcript of proceedings. Discusses the qualities of aircraft such as the P-39, P-47, P-38, P-51, etc. in relation to their adversaries. Serving to promote cross-talk between all aspects of aircraft fighter production and use. 6"x 9", 432 pgs., 100 photos and charts, hdbd. Featuring exclusive footage, this 2-DVD collection - which includes the programs Air Stealth, Sea Stealth and Land Stealth - examines the past, present and future of stealth weapons. You'll see stealth aircraft such as the F-117 Nighthawk and F-35 Joint Strike Fighter, discover how modern engineering can make our largest warships appear to be tugboats or fishing vessels, and witness new technology in materials and sensory detection that is being developed in the quest for the ultimate camouflage outfit. 2 hrs. 30 min. Take an inside look at the competition between Boeing's Phantom Works and Lockheed Martin's Skunk Works to create the Joint Strike Fighter - America's next generation stealthy attack aircraft serving the Air Force, Navy, and Marines. Join military brass, aviation engineers and test pilots as they reveal the breakthrough designs, heartbreaking setbacks, adrenaline-fueled test flights, and the final decision - the winner of the biggest contract in military history. 2 hours. Featuring a hand-crafted, antique silver F-35 Lightning II emblem, this large, 16 oz. travel tumbler has an insulated, double-wall design to keep cold drinks cold and hot drinks hot! Perfect for your next adventure - whether in the air or on the ground - it's made of durable and attractive stainless steel and includes a removable, screw-on top with a sip hole. This 1/64 scale model of a Kenworth semi with a 53' trailer used by Pratt & Whitney features a detailed cab interior with glazed windows, separately applied detail parts, a detachable trailer with artwork representing the F-22 and F-35 programs, free-rolling wheels, and more. Measures 11" long and arrives ready to display. There is no clear industry standard definition for RTF, PNP, ARF,RXR, KIT, etc. Every manufacturer makes up thier own difinitions. KIT means that you get all of the components of the plane, i.e. : fuselage, wings, tail, landing gear, even ductedfan, etc, prebuilt but not pre-assembled; No any electronic parts are included. RTF(Ready To Fly) means that you get the complete playable model which includes everything including electronic parts—equipped model itself and RC transceiver, battery and so on, by which you can play after you slghtly assemble it . RXR means that you get the RTF excepting RC transceiver. ARF and PNP means that you get the RTF excepting RC transceiver as well as Battery. Bill Sweetman. This in-depth and unprecedented examination of Lockheed's stealth program explains how Skunk Works designers and engineers minimize and even eliminate radar, thermal, and acoustic signatures in military aircraft. Illustrated with photos from the company's archives and private collections, the story begins with the origins of stealth in 1974 and continues through to the latest X-35 program. 168 pgs., 150 color and 50 B&W photos, 10"x 10", hdbd. Inside the Skunk Works. Jenkins. Since 1943, scores of remarkable aircraft have rolled out of the hangars occupied by Lockheed's top secret Skunks Works program. This in-depth look at the famous research-and-design team's secret projects reveals the nuts and bolts behind aircraft ranging from the P-80 Shooting Star to today's X-35 Joint Strike Fighter prototype. While the emphasis is on high-profile products like the U-2, SR-71, F-117 and F-22, the book also examines projects that have yet to be covered in book form, including the Tier III Minus DarkStar unmanned air vehicle and the X-33 VentureStar orbiter. 128 pgs., 120 color and B&W photos, 9"x 8", sfbd. over Northern Siberia on the 2002 North Pole Expedition. Known as the Joint Strike Fighter (previously the Joint Advanced Strike Technology) program, the F-35 Lightning II is a family of multi-role aircraft developed under a multinational acquisition program. In cooperation with BAE Systems and Northrop Grumman, the F-35 is currently under development and production by Lockheed Martin. Lockheed Martin was selected by the Department of Defense (DOD) on October 26, 2001 after beating out competition from McDonnell Douglas and then Boeing in the design and demonstration phases of the program (1994-2001). The aircraft will be powered by the Pratt & Whitney F135 engine. The distinguishing feature of the United States Marine Corps (USMC) version of the JSF is its short takeoff/vertical landing capability (STOVL). There will not be an internally mounted machine gun, but an external gun can be fitted. This version requires controllability on all axes while hovering. Another critical design feature is its impact on the ground surface beneath it during hover. The USMC expects their version of the JSF will replace the F/A-18 Hornet and the AV-8 Harrier. The Marine Corps expects to purchase 480 STOVL versions of the F-35. The Joint Strike Fighter (JSF) is a joint, multinational acquisition program for the United States Air Force, Navy, Marine Corps and eight cooperative international partners. It was created to replace various aircraft while keeping development, production and operating costs down. The objective is to develop a technically superior and affordable fleet of aircraft that would be capable of a wide range of missions in a variety of theaters. The program began in November 1996 with a 5-year competition between Lockheed Martin and Boeing to determine the most capable and affordable preliminary aircraft design. On October 26, 2001, the contract was awarded to Lockheed Martin, whose X-35 experimental aircraft outperformed Boeing's X-32. The JSF aircraft design has three variants: conventional takeoff and landing (F-35A), short takeoff and vertical landing (F-35B), and carrier-based (F-35C). The program's hallmark of affordability is achieved through a high degree of commonality among the variants; 80 percent of the parts are shared. The F-35C naval variant will have a larger, folding wing and larger control surfaces for improved low-speed control, and stronger landing gear for the stresses of carrier landings. The larger wing area provides increased range and payload, with twice the range on internal fuel compared with the F/A-18C Hornet, achieving the same goal as the heavier F/A-18E/F Super Hornet. The US Navy intends to buy 480 F-35Cs to replace the Hornets. It will also serve as a stealthier complement to the Super Hornet. 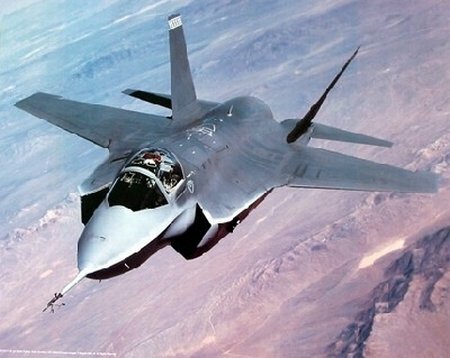 The F35C is expected to be available beginning in 2012.